Both artists create installations that challenge male-dominated narratives, portraying their male subjects from their positions of creative prowess. Bonnie Collura constructs several versions of a male surrogate out of disparate materials, flipping the gender roles of artist/creator and model/muse. Rachelle Mozman Solano takes on iconic artist Paul Gauguin by casting him as a self-doubting disappointment in his own biographical story, seeking affirmation from the ambivalent women who he aims to dominate. By putting forth alternative narratives, Collura and Mozman Solano envision women as empowered protagonists of their own storylines. 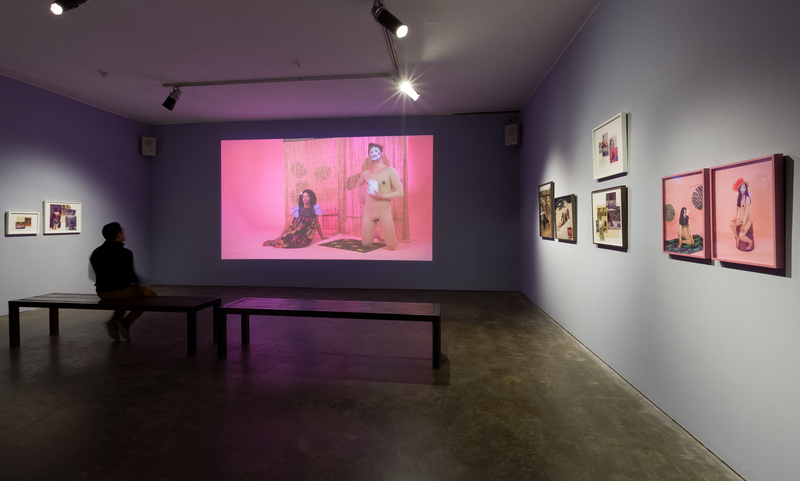 “Bonnie Collura, Prince, 2019, installation view. L-R: Bonnie Collura, Mortality/Evening/Lincoln, 2018. Steel, wood, brass, aquaresin, urethane plastic, quilted, repurposed fabric, paint, 86″ x 41″ x 42″; Attachment (Barrel of Monkey Arm), 2001. Fiberglass resin and paint, 19 1/2″ x 11 3/4″ x 4″. 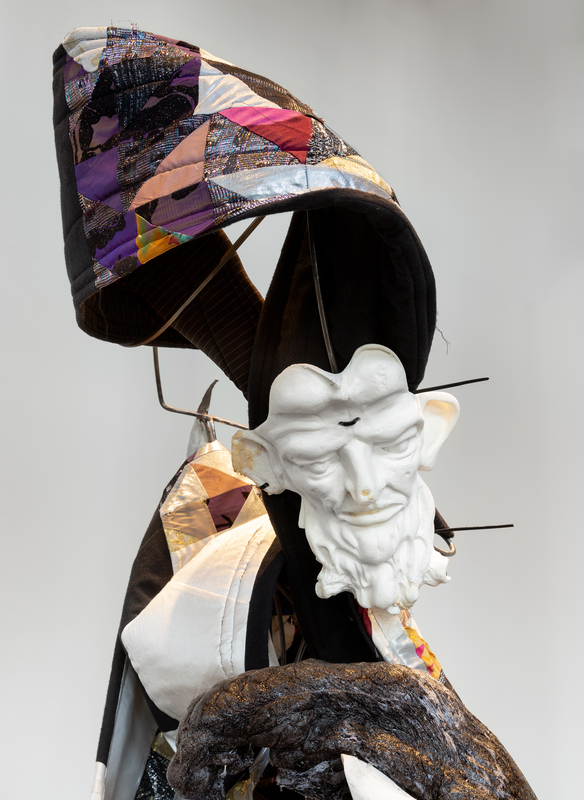 Crash Test/Dubble Bubble/Sebastian, 2018, steel, wood, urethane plastic, hemp fiber, expandable foam, chair section, fabric, inner tube, bracelet, paint, zip ties, 74″ x 44″ x 44”. Image courtesy of Smack Mellon. Photo by Etienne Frossard. The Prince Project, created by Bonnie Collura, is part of an ambitious episodic project started in 2005 with funding from a Guggenheim Fellowship. Over time, the Project has taken the form of single sculptures and large-scale installations that critique our culture’s pattern of repeating iconic characters, gestures, and polarizing traits to create heroes, inspired by mythological characters and symbols. Collura interprets the Prince as an amalgamation of four archetypal male characters from history, religion, and popular culture. A unifying thread among these four figures is that each was left with an identifiable hole in his body. By building both their bodies and shedding skins through sewing, the artist aims to rebuke tropes of the heroic male sculpture, as well as constructs that create patriarchal icons. With this, she intends to evoke feelings of our collective hope, heartbreak, and history. Her works are carved and cast pieces that are fitted or sewn together. Bonnie Collura lives and works in Bellefonte, Pennsylvania. Bonnie Collura, Mortality/Evening/Lincoln, 2018. Steel, Wood, brass, aqua resin, urethane plastic, quilted, repurposed fabric, paint, 86″ x 41″ x 42″. Image courtesy of Smack Mellon. Photo by Etienne Frossard. Rachelle Mozman Solano explores the ways in which culture shapes individuals and how environment conditions behavior. 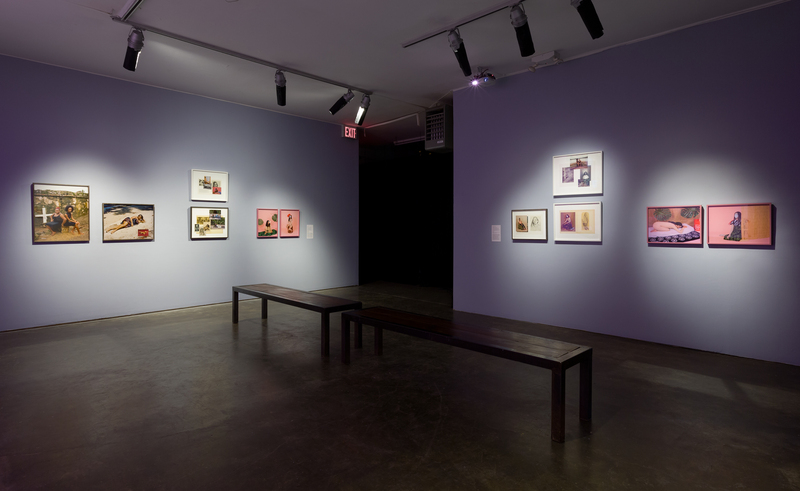 For her film and photography, Metamorphosis of Failure (below), Mozman Solano takes as a point of departure the Museum of Modern Art’s 2014 exhibition of Paul Gaugin’s works on paper that he made in the South Pacific toward the end of his life. The work probes Gaugin’s obsession with racial purity, which she speculates may have stemmed from his multiethnic identity and created a conflicted sense of self. Her film is based on fantasies of Gaugin’s five-week stay in Panama before his journey to Polynesia, examining his search for subjects, ‘primitive’ life, and ‘pure’ racial identity as described in letters to his wife and his book Noa Noa. 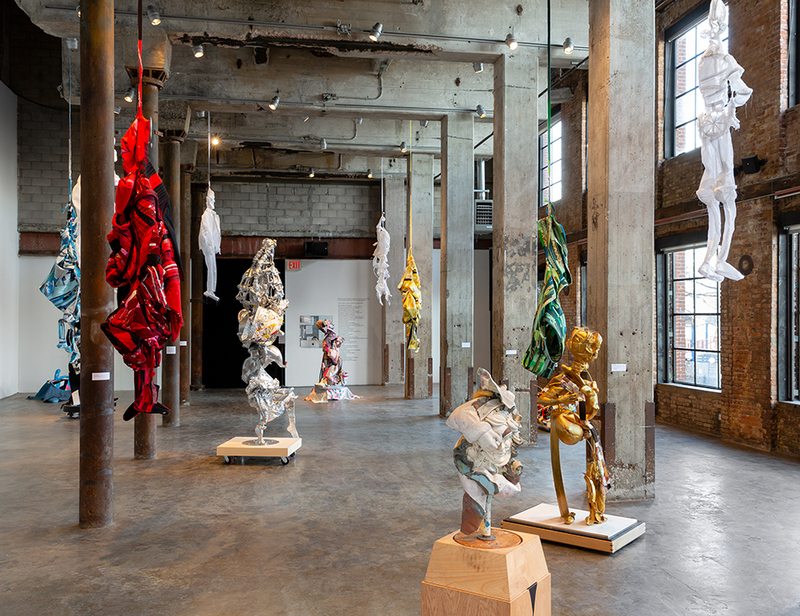 Rachelle Mozman Solano, Metamorphosis of Failure, 2019, installation view. Image courtesy of Smack Mellon. Photo by Etienne Frossard. In this Project, Mozman Solano playfully reimagines the stories of the women who were Gauguin’s muses. She cleverly empowers these women by imagining an alternative narrative that exposes Gauguin’s internal conflict and the desires that he projected onto his subjects. Rachelle Mozman Solano grew up in New York to immigrant parents. She works between New York and Panama, the country of her maternal family. 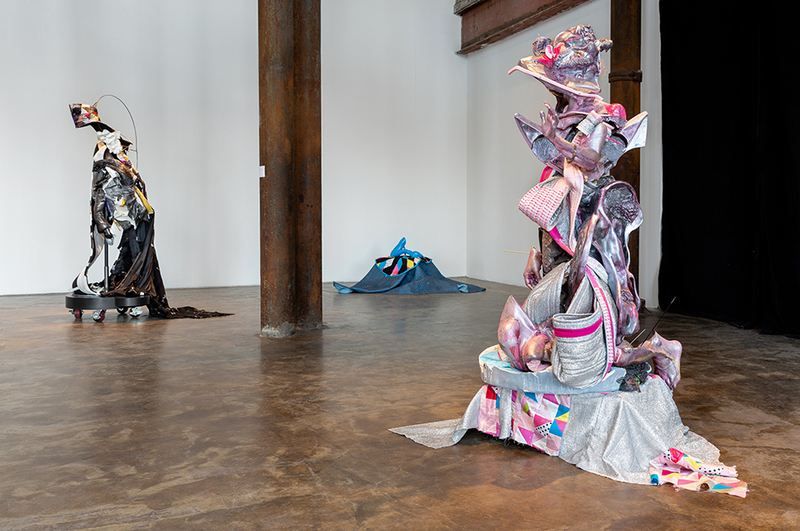 Bonnie Collura, Prince and Rachelle Mozman Solano, Metamorphosis of Failure, will be on view at Smack Mellon through Sunday, February 24, 2019. Smack Mellon is located at 92 Plymouth Street, Brooklyn. There will be an Artist Talk with Collura and Mozman Solano on Saturday, Feb rural 9th from 4-5pm.